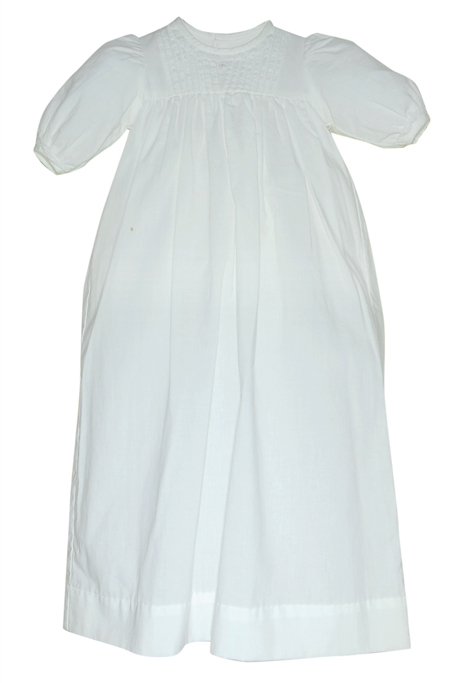 This adorable white soft cotton gown is made by Remember Nguyen (Remember When), a leading manufacturer of classic children's clothing. 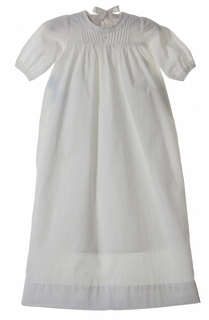 Perfect for christening or for bringing your new baby boy or girl home from the hospital, the gown has pin tucks on the chest centered by ivory embroidery. 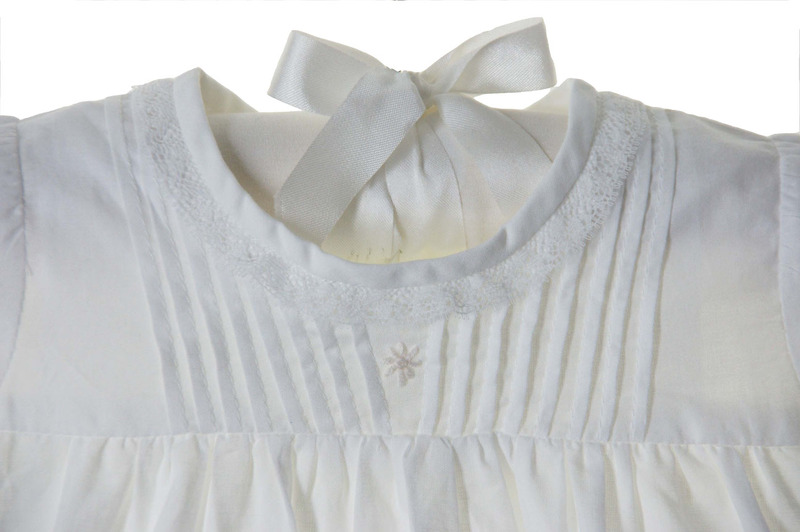 The simple round neckline and long sleeves are edged with soft white lace. 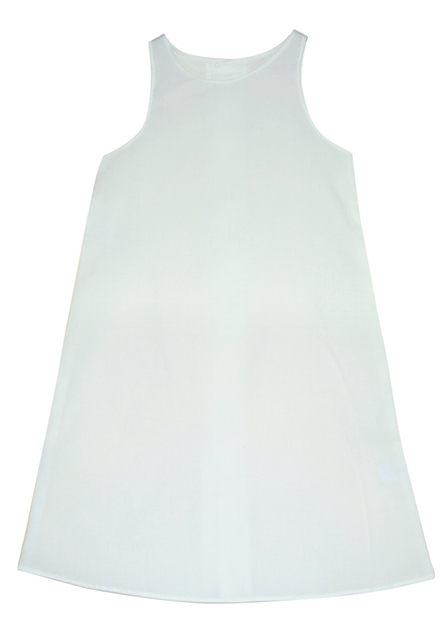 The gown has a back buttoned closure and comes with a matching slip.